The Few...The Proud...You guessed it! Finally after many requests we are proud to offer you our exquisitely detailed Belly Bear Marine. 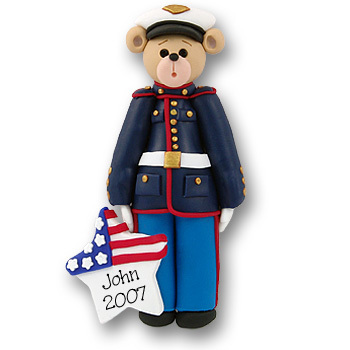 This personalized ornament is a great gift for that special person in your life that you are so very proud of.